The following story was featured in the Fall 2018 Meredith Magazine. Emily Hines Harper passed away on October 29 after a long battle with cancer. Meredith College appreciates the love she had for her alma mater and she will be missed by many. One year after graduation, Harper co-founded the group Networking Angels. She felt it was vital for alumnae to support each other in the professional world. More recently she considered how she could help young women in her hometown of Henderson. 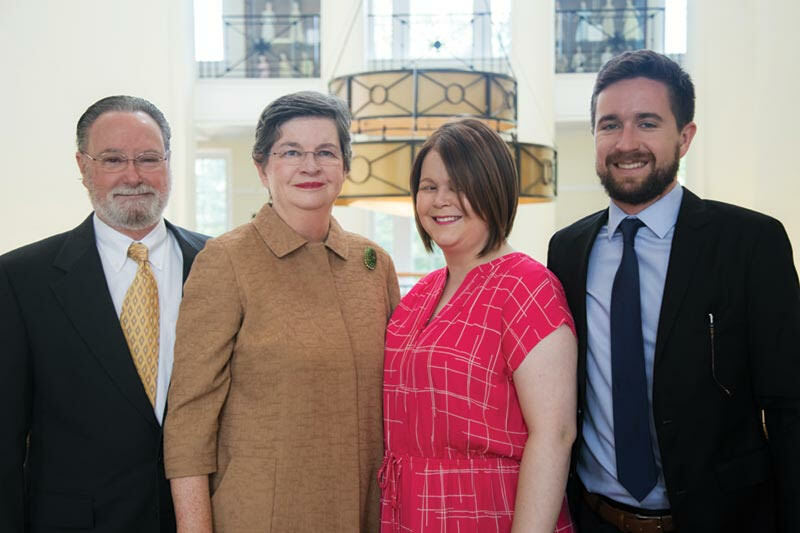 She started thinking about her experiences at Meredith as a student and alumna and that led to create an endowment for students from Vance County who need financial support. Whether they are undergraduate, graduate, or Wings students, Vance County residents will be able to benefit from the newly established Emily Hines Harper Scholarship. Harper knows from her own experience that Meredith will nurture the young women who receive her scholarship and give them experiences like she had while attending. One of Harper’s fondest memories was the opportunity she had to study abroad the summer after her sophomore year. She traveled to Italy, Switzerland, and the United Kingdom. Sansepolcro, Italy was her favorite, because she felt like a local and it was obvious Meredith has a special relationship with the village. She wants future students to also find their voices while on campus. One way she learned to speak up was by being a member of the Honor Council for all four years, and serving as the chair her senior year. “I knew my work on the council was important. I was always outgoing, but Honor Council helped me with my confidence while working alongside some very capable women,” says Harper. Her experiences at Meredith have shaped the person she is and she feels it is important to elevate individuals through education and give them experiences that forever change their paths in life.